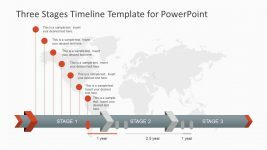 The Creative Project Timeline Diagram is an incredible project management presentation. 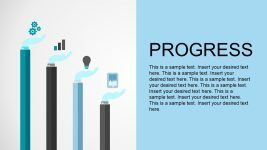 It displays the progress using interactive graphics and visuals to engage the audience. 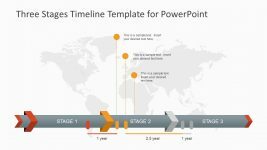 Further, the timeline PowerPoint is ideal for discussing the financial growth and market value of the company during executive meetings. 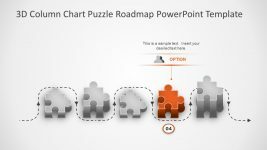 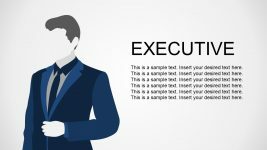 Moreover, customization feature assists presenters to make changes in theme of slides and adjust to the design of main presentation. 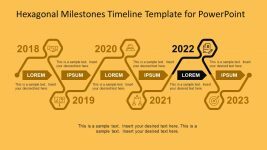 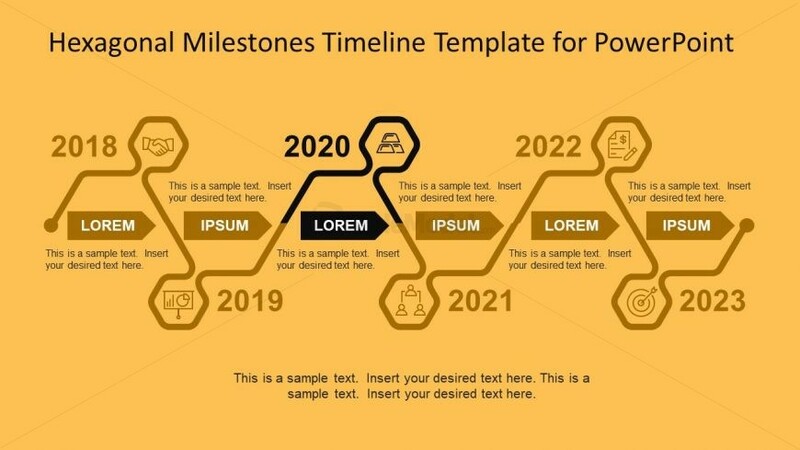 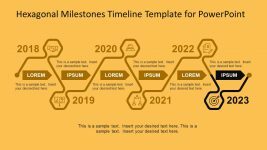 This PowerPoint slide of hexagonal timeline highlights the third segment with icon of stacked bars. 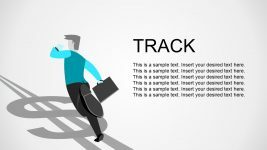 This stage have multiple meaning such as, gathering resources or developing a structure of project etc.